In this video, you will see a welding a 6010 overhead Root, fill, and cap passes with crisp arc shots showing different technique for Root, Fill, and Cap. 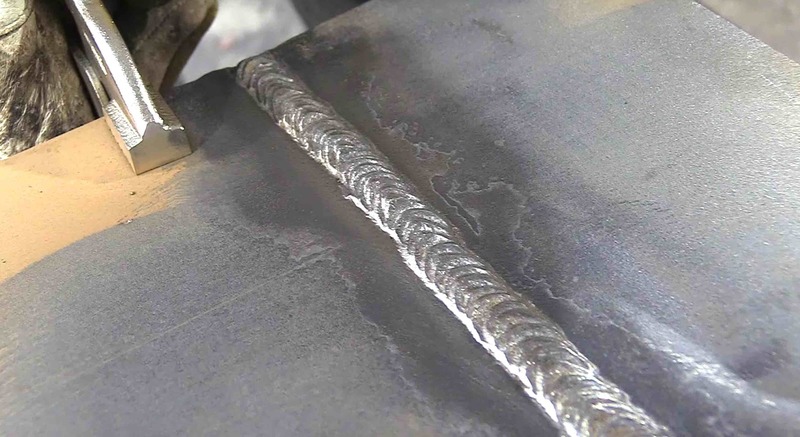 The root pass was welded using 1/8" 6010. Fill and Cap were done using 5/32" 7010 electrodes. a heavy 1/16" land or root face was used. a root opening of slightly more than 1/16" was used. Machine was set to 90 amps for the 1/8" 6010 root. A slight drag angle was used and a very tight arc. For the hot pass, Amperage was set to 135-140 for the 5/32" 7010 hyp rods. A distinct whip and pause technique was used for the hot pass. Using larger electrodes like 5/32" in overhead position requires a technique that will control the puddle and keep it relatively flat. Andrew was whipping completely out of the puddle to allow the puddle to freeze enough to control it. For the first fill pass after the hot pass, pretty much same amperage and technique was used except for a slight side to side motion to spread out the puddle a bit. For the last fill pass before the cap, more side to side wiggle was used to make sure the edges of the puddle washed in to completely fill the groove but not melt away the straight edges of the bevel lines. Cap pass was done in the same fashion. The code requirements for API1104 pipe cap pass are pretty strict allowing for only 1/16" maximum height or reinforcement. Fast freeze XX10 electrodes allow the welder to adjust techniques to deposit more or less metal in different positions. Why plate and not Pipe? In a lot of training situations, It just does not make sense to weld pipe before welding plate. plate is cheaper, easier to prep, and good practice as long as you practice all positions and learn the techniques needed to be successful at welding pipe. 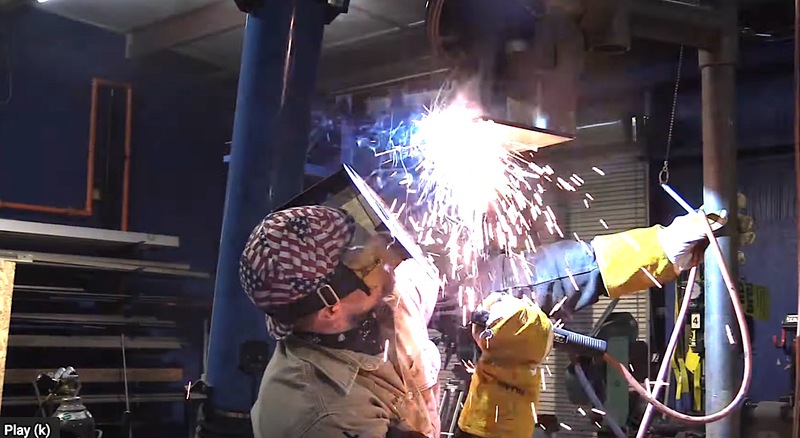 This video is the last in a series of plate welding videos geared toward welding open root pipe joints downhill using 6010 and other XX10 electrodes.